If you thought these stars were photogenic before, just wait until you see their vintage pics. Bravolebrities are a multi-talented bunch. Not only do they have successful careers in a wide variety of fields, charismatic personalities, and an appreciation for the finer things in life, they also know how to work the camera and the catwalk. Many were models before they became small-screen sensations, which shouldn't come as that big of a surprise considering several of them have made their passion for fashion well known on their respective shows. Who can forget Ramona Singer's eye-popping runway walk on The Real Housewives of New York, Ladies of London's #Knickergate, or the many style icons that have brought their fierceness to the Watch What Happens Live Clubhouse over the years? Modeling careers have to start somewhere, but many Bravolebs filled out the first pages of their portfolios with some pretty amazing pics. Check out these early shots below, and you'll soon realize that they were destined for the spotlight. The Real Housewives of Beverly Hills alum was a high-fashion runway and print model for 17 years, posing for such legendary designers as Chanel, Giorgio Armani, and Gucci as well as appearing in magazines like Glamour and Cosmopolitan. One look at those cheekbones in this 1992 modeling photo, and it's easy to see why she was in such high demand. Shortly before being crowned Miss USA in 1993, Kenya brought that beauty to the January 1992 cover of Ebony Man. More than two decades later, Kenya still knows how to twirl it for the camera. Kristen certainly knows how to cause a scene during New York Fashion Week, both in a good and a bad way, as we saw on RHONY this season. But a few years ago, Kristen was turning heads for what she wore, not what she may or may not have said to a New York Post reporter. This catalog photo from one of Kristen's first modeling jobs was taken while the RHONY star was still in high school and was still a brunette before opting for that pop of color to make her the pretty blonde we all know and love. Jax may be only 20 years old in this photo, but he is giving us some serious Blue Steel here — as well as some bulging biceps. No matter what the contestants cook up on Top Chef, Padma always makes eating look good. That's probably because she was a successful high-fashion supermodel before setting the culinary world on fire. Padma posed for Roberto Cavalli, French ELLE, and went ultra-glam for the '90s-era photo shoot above. Werk, Padma! Annabelle exudes cool on Ladies of London, so it's no surprise that she was best friend and muse to the late fashion designer Alexander McQueen. Annabelle's rock 'n' roll attitude and dark sense of humor meshed perfectly with McQueen's point-of-view, as you can see on the right in the photo above from one of the designer's fashion shows from the '90s. Andrew may not have been the best deckhand on Season 2 of Below Deck — or a deckhand at all, for that matter — but he was nice to look at, as you can see in the above modeling shot. We've seen Cynthia act like a boss running the Bailey Agency School of Fashion on RHOA, and that's because she knows a thing or two about what it takes to make it in the fashion world. Cynthia signed a five-year contract with Wilhelmina Models when she moved to New York after her high school graduation and quickly took some fierce photos, like the one above. If it weren't for the '80s-tastic hair and jewelry, you would think Cynthia took this pic yesterday. It's clear where today's fashion It Girls Gigi and Bella Hadid get their modeling chops from: their #ProudMommy Yolanda Foster, of course. Yolanda became an international model at age 16 after legendary modeling agent Eileen Ford discovered her. She has so many chic photos from her successful modeling career that are worth revisiting, but a jump shot like this with that mane for days just demands your attention. #tbt my first big job. So many memories back then #sketchers . Long before she was named one of the "Maxim Hot 100," Joanna's first big modeling job was a lot more wholesome. She looks like the girl next door in this print ad for Skechers. Now that's versatility. Mica actually worked as a local news reporter when a modeling scout discovered her. With the fierceness that she's serving in the above photo, can you really blame her for making that career move? As a model signed to Wilhemina Models and Ford Models, Mica worked for iconic fashion houses like Chanel, Oscar de la Renta, and Yves Saint Laurent. She would go on to found her own agency and help up-and-coming models be just as fabulous as she is. #tbt to good old stock photography. Someone just sent this to me. If real estate doesn't work out, I'm off to veterinarian school!!! 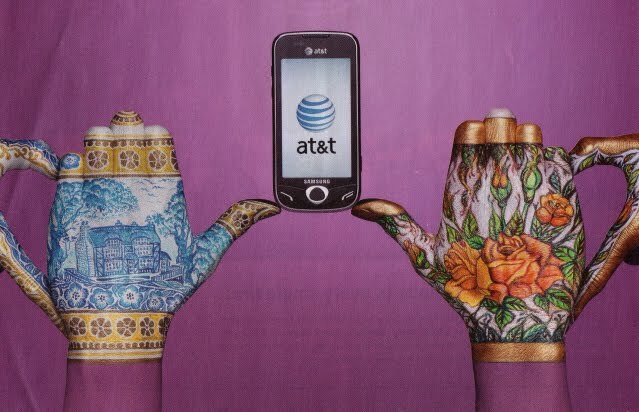 Before trying his hand at real estate (and eventually becoming one of the top brokers in the world), Ryan was a hand model. 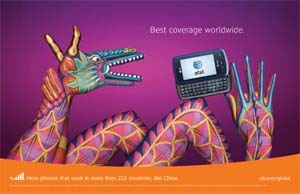 His hands were painted to look like a dragon and teapots, among other things, for a successful AT&T ad campaign. However, Ryan isn't a one-trick pony. He also knows how to model with his entire body, posing as an adorable veterinarian in this stock photo. Who wouldn't trust a guy like that with their dog? Scheana normally looks totally glammed up on Vanderpump Rules. However, this photo for the blog The Divine Addiction shows that she knows how to work the ethereal look, too. The long-awaited debut of Sonja's fashion line may have stolen the show on RHONY this season, but once upon a time, she modeled other designers' clothing. Just check out Sonja in this swimsuit shot from when she was a model. It's crazy how Sonja can still rock a bikini just as well these days. It seems like only yesterday when we saw Teresa Giudice's eldest daughter Gia rule the runway on RHONJ. It wasn't long before she took her modeling to the next level with her first photo shoot in 2013, which looks like it could belong in any major department store's catalog. We've seen Gia step in front of the camera quite a bit on six seasons of RHONJ so far, and we're sure her big break is just around the corner. One look at this past issue of the magazine Eurowoman with Caroline on the cover, and it's easy to see why she would later serve as host and a judge of Denmark's Next Top Model. Do we predict a walk-off between her and Ladies of London OG Annabelle this season? Instead of living in the real-live Abercrombie & Fitch ad that is working at SUR, bartender Tom looked like he could have fit right in as a model in one of the apparel company's iconic ad campaigns way back when. Claudia's successful modeling career on game shows like The Price Is Right and Deal Or No Deal is fairly well known, but the RHOA star also knew how to work it in front of a still camera. Claudia could definitely teach a class on how to make your eyes smolder. Isabel dubbed herself and husband Steve Angello the Swedish "Brad and Angelina" on Euros of Hollywood. That's because the members of this power couple both made successful careers for themselves with Steve one-third of the famous EDM trio Swedish House Mafia and Isabel a model, among many other business ventures over the years. Isabel's first cover shoot for this Swedish magazine was pretty steamy, and she's only gotten better at working the camera since then, whether as a blonde or a brunette. Kelly turned heads when she nonchalantly jogged through the streets of New York during her time on RHONY. However, we're sure she stopped traffic shooting this super-cool pic from her modeling days. If Tom looked this good on his first model shoot ever, then it's easy to see why the Vanderpump Rules star would have plenty more where that came from. We still don't know how Kim Zolciak's eldest daughter Brielle managed to strut in those sky-high platforms during her New York Fashion Week runway debut in designer Michael Kuluva's show, but she looked flawless while doing so. Posing with superstars David Beckham and John Travolta isn't easy, but somehow Caprice managed to steal the spotlight in her first cover for GQ. Unlike most of the other Bravolebs, Craig started his modeling career after his Bravo debut on Season 1 of Southern Charm. This photo seems to show him walking in the Charleston Fashion Week runway show for Social Primer, the men's accessory line from Landon Clements' friend K. Cooper Ray. Craig might be the only person who can actually pull off wearing equestrian riding apparel even when he's not on a horse.